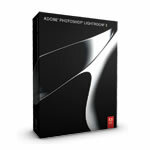 I’ve just been reading about Adobe’s release of Lightroom 3. It’s been in beta for a long time now, but I think that is probably a good thing: Plenty of feedback and lots of time to iron out problems. The list of new and improved features is both long and impressive. I particularly like the inclusion of tethered shooting, lens correction, improved vignette control & the new print layouts approach. You can see a full list over at Victoria Bampton’s site. What really does disappoint me though is once again they have left out soft proofing. I can’t believe the argument that including it is not a priority for many photographers especially if you compare it to some of the other features that have found their way into LR3. Will its inclusion dent you Photoshop sales? Perhaps, but only a little as I can’t really believe that many people would really choose PS over LR just to get soft proofing, or not buy PS just because LR has soft proofing. They aer different products aimed at different users with different perceptions and needs. I fully accept that you can get great prints without soft proofing (and I’ll explain some of the techniques I use over the coming months), but its inclusion would give us the flexibility to choose the degree of control we have. So, with that whinge over, will I buy it? Yes. I’ve already bought into the way LR works and I think the the features mentioned above are enough for me to justify the upgrade.